Williams was born in Rutherford, New Jersey to an English father and Puerto Rican mother of partial French descent. His work has a great affinity with painting, in which he had a lifelong interest. Williams received his primary and secondary education in Rutherford until 1897, when he was sent for two years to a school near Geneva and to the Lycée Condorcet in Paris. He attended the Horace Mann School upon his return to New York City and, having passed a special examination, was admitted in 1902 to the medical school of the University of Pennsylvania, from which he graduated in 1906. Upon leaving Penn, Williams did internships at both French Hospital and Child's Hospital in New York before going to Leipzig for advanced study of pediatrics. He published his first book, Poems, in 1909. Williams married Florence Herman (1891–1976) in 1912, after he returned from Germany. They moved into a house in Rutherford, New Jersey, which was their home for many years. Shortly afterward, his second book of poems, The Tempers, was published by a London press through the help of his friend Ezra Pound, whom he had met while studying at the University of Pennsylvania. Around 1914, Williams and his wife had their first son, William E. Williams, followed by their second son, Paul H. Williams, in 1917. Their first son would grow up to follow Williams in becoming a doctor. Although his primary occupation was as a family doctor, Williams had a successful literary career as a poet. In addition to poetry (his main literary focus), he occasionally wrote short stories, plays, novels, essays, and translations. He practiced medicine by day and wrote at night. Early in his career, he briefly became involved in the Imagist movement through his friendships with Pound and H.D. (whom he had also befriended during his medical studies at Penn), but soon he began to develop opinions that differed from theirs and his style changed to express his commitment to a modernist expression of his immediate environment. In 1920, Williams was sharply criticized by many of his peers (such as H.D., Pound and Wallace Stevens) when he published one of his most experimental books, Kora in Hell: Improvisations. Pound called the work "incoherent" and H.D. thought the book was "flippant". The Dada artist and poet Baroness Elsa critiqued Williams's sexual and artistic politics in her experimental prose poem review entitled "Thee I call 'Hamlet of Wedding Ring'", published in The Little Review in March 1921. Three years later, Williams published one of his seminal books of poetry, Spring and All, which contained the classic poems "By the road to the contagious hospital", "The Red Wheelbarrow" and "To Elsie". However, in 1922, the year it was published, the appearance of T. S. Eliot's The Waste Land became a literary sensation and overshadowed Williams's very different brand of poetic Modernism. In his Autobiography, Williams would later write, "I felt at once that The Waste Land had set me back twenty years and I'm sure it did. Critically, Eliot returned us to the classroom just at the moment when I felt we were on a point to escape to matters much closer to the essence of a new art form itself—rooted in the locality which should give it fruit". And although he respected the work of Eliot, Williams became openly critical of Eliot's highly intellectual style with its frequent use of foreign languages and allusions to classical and European literature. Instead, Williams preferred colloquial American English. In his modernist epic collage of place entitled Paterson (published between 1946 and 1958), an account of the history, people, and essence of Paterson, New Jersey, Williams wrote his own modern epic poem, focusing on "the local" on a wider scale than he had previously attempted. He also examined the role of the poet in American society and famously summarized his poetic method in the phrase "No ideas but in things" (found in his poem "A Sort of a Song" and repeated again and again in Paterson). In his later years, Williams mentored and influenced many younger poets. He had an especially significant influence on many of the American literary movements of the 1950s, including the Beat movement, the San Francisco Renaissance, the Black Mountain school, and the New York School. One of Williams's most dynamic relationships as a mentor was with fellow New Jersey poet Allen Ginsberg. Williams included several of Ginsberg's letters in Paterson, stating that one of them helped inspire the fifth section of that work. Williams also wrote the introduction to Ginsberg's important first book, Howl and Other Poems, in 1956. Williams suffered a heart attack in 1948 and, after 1949, a series of strokes. Severe depression after one such stroke caused him to be confined to Hillside Hospital, New York, for four months in 1953. He died on March 4, 1963, at the age of 79 at his home in Rutherford. He was buried in Hillside Cemetery in Lyndhurst, New Jersey. "The rose fades, and is renewed again ...."
"William Carlos Williams is as magically observant and mimetic as a good novelist. He reproduces the details of what he sees with surprising freshness, clarity, and economy; and he sees just as extraordinarily, sometimes, the forms of this earth, the spirit moving behind the letters. His quick transparent lines have the nervous and contracted strength, move as jerkily and intently as a bird." R. P. Blackmur said of Williams's poetry, "the Imagism of 1912, self-transcended." A contemporary, Harriet Monroe, said of Williams, "to assert his freedoms he must play the devil, showing himself rioting in purple and turquoise pools of excess." Williams's major collections are Spring and All (1923), The Desert Music and Other Poems (1954), Pictures from Brueghel and Other Poems (1962), and Paterson (1963, repr. 1992). His most anthologized poem is "The Red Wheelbarrow", an example of the Imagist movement's style and principles (see also "This Is Just To Say"). However, Williams, like his peer and friend Ezra Pound, had already rejected the Imagist movement by the time this poem was published as part of Spring and All in 1923. Williams is strongly associated with the American modernist movement in literature and saw his poetic project as a distinctly American one; he sought to renew language through the fresh, raw idiom that grew out of America's cultural and social heterogeneity, at the same time freeing it from what he saw as the worn-out language of British and European culture. In 1920, this project took shape in Contact, a periodical launched by Williams and fellow writer Robert McAlmon: "The two editors sought American cultural renewal in the local condition in clear opposition to the internationalists—Pound, The Little Review, and the Baroness." Yvor Winters, the poet/critic, judged that Williams's verse bears a certain resemblance to the best lyric poets of the 13th century. Williams sought to invent an entirely fresh and uniquely American form of poetry whose subject matter centered on everyday circumstances of life and the lives of common people. He came up with the concept of the "variable foot" which Williams never clearly defined, although the concept vaguely referred to Williams's method of determining line breaks. The Paris Review called it "a metrical device to resolve the conflict between form and freedom in verse." One of Williams's aims, in experimenting with his "variable foot", was to show the American (opposed to European) rhythm that he claimed was present in everyday American language. Stylistically, Williams also worked with variations on a line-break pattern that he labeled "triadic-line poetry" in which he broke a long line into three free-verse segments. A well-known example of the "triadic line [break]" can be found in Williams's love-poem "Asphodel, That Greeny Flower." Williams’ mother had trained as a painter in Paris and passed on her enthusiasm to her son, who also painted in his early years. A painting by him now hangs in the Beineke Library and as late as 1962 he was still remembering in an interview that “I'd like to have been a painter, and it would have given me at least as great a satisfaction as being a poet.” For most of his life he wrote art criticism and introductions to exhibitions by his friends. In 1915 Williams began to associate with the New York group of artists and writers known as "The Others." Founded by the poet Alfred Kreymborg and the artist Man Ray, they included Walter Conrad Arensberg, Wallace Stevens, Mina Loy, Marianne Moore and Marcel Duchamp. Interlocking with them were the US artists who met at Arensburg's studio, including Marsden Hartley, Joseph Stella, Charles Demuth and Charles Sheeler, with whom Williams developed close friendships. Although he championed the new way of seeing and representation pioneered by the European avant-garde, Williams and his artistic friends wished to get away from a purely derivative style. As one result, he started Contact magazine with Hartley in 1920 in order to create an outlet for works showcasing the belief that creative work should derive from the artist's direct experience and sense of place and reject traditional notions of how this should be done. Precisionism emerged in response to such thinking. In her study of the influence of painting on Williams, Ruth Grogan devoted several paragraphs to the dependency of some of his poems on the paintings of Charles Sheeler in this style, singling out in particular the description of a power house in Williams' “Classic Scene”. But the close relationship with Charles Demuth was more overt. Williams’ poem “The Pot of Flowers” (1923) references Demuth's painting “Tuberoses” (1922), which he owned. On his side, Demuth created his “I saw the figure 5 in gold” (1928) as a homage to William's poem “The Great Figure” (1921). Williams’ collection Spring and All (1923) was dedicated to the artist and, after his early death, he dedicated the long poem “The Crimson Cyclamen.” (1936) to Demuth's memory. Throughout his career, Williams, thought of his approach to poetry as a painterly deployment of words, saying explicitly in an interview, "I've attempted to fuse the poetry and painting, to make it the same thing….A design in the poem and a design in the picture should make them more or less the same thing." However, in the case of his references to much earlier painters, culminating in Pictures from Brueghel (1962), his approach was more commentarial. Of this late phase of his work it has been claimed that “Williams saw these artists solving, in their own ways, the same problems that concerned him,” but his engagement with them was at a distance. The U.S. National Book Award was reestablished in 1950 with awards by the book industry to authors of books published in 1949 in three categories. Williams won the first National Book Award for Poetry, recognizing both the third volume of Paterson and Selected Poems. In 1952 Williams was named Consultant in Poetry to the Library of Congress in Washington, DC, but was barred from serving out his term due to McCarthyism and unfounded accusations of Williams's membership in a communist organization. Williams retained legal counsel to refute the charges but was never allowed to respond to his critics and never received an apology from the Library of Congress. In May 1963, he was posthumously awarded the Pulitzer Prize for Pictures from Brueghel and Other Poems (1962) and the Gold Medal for Poetry of the National Institute of Arts and Letters. 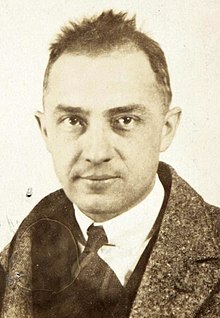 The Poetry Society of America continues to honor William Carlos Williams by presenting the prestigious William Carlos Williams Award annually for the best book of poetry published by a small, non-profit or university press. Williams's house in Rutherford is now on the National Register of Historic Places. He was inducted into the New Jersey Hall of Fame in 2009. Last Nights of Paris (1929) - A novel translated from the French of Philippe Soupault. By Word of Mouth: Poems from the Spanish, 1916-1959 (2011) - Poetry of Spanish and Latin American authors. The Dog and the Fever (2018) - A novella translated from the Spanish of Pedro Espinosa. ^ "William Carlos Williams Fund For Maternal-Child Health Established At St. Mary's Hospital, Passaic". Rutherfordlibrary.typepad.com. ^ a b c Wagner-Martin, Linda. "Williams' Life and Career". Modern American Poetry. University of Illinois. Retrieved 17 December 2013. ^ Davis, Heather. "William Carlos Williams". Penn Current. Archived from the original on 2012-11-12. Retrieved 2011-10-27. ^ "William C. Williams". U.S. Census 1920. U.S. Census Bureau. Retrieved 17 December 2013. ^ "Mrs. William Carlos Williams" (PDF). New York Times. 20 May 1976. Retrieved 17 December 2013. ^ Burt, Stephen. "Poetry Foundation bio on Williams". Poetryfoundation.org. Retrieved 2012-10-14. ^ Gammel, Irene, Baroness Elsa: Gender, Dada, and Everyday Modernity. Cambridge, MA: MIT Press, 2002, 272. ^ Williams, William Carlos. Selected Essays. New York: Random House, 1954. ^ Williams, William Carlos. In the American Grain. New York: New Directions, 1999. ^ Casey, Phil (1963-03-05). "Poet Williams Dies of Stroke. Works in 40 Volumes Likened to Chekhov". Washington Post. Retrieved 2008-08-07. ^ "William Carlos Williams Dies. Physician Long a Leading Poet. Won Many Literary Honors Over Half a Century. Was 79 Years Old. Combined Two Professions. Won Literary Awards". The New York Times. 1963-03-05. Retrieved 2008-04-11. ^ Strauss, Robert (2004-03-28). "Sometimes in the Grave Is a Fine and Public Place". The New York Times. Retrieved 2007-08-21. ^ Cappucci, Paul R. (2013). "A Libretto in Search of Music: The Strain of Collaborative Creation in William Carlos Williams's The First President". Journal of Modern Literature. 36 (2): 80–104. doi:10.2979/jmodelite.36.2.80. JSTOR 10.2979/jmodelite.36.2.80. ^ Jarrell, Randall. "Fifty Years of American Poetry." No Other Book: Selected Essays. New York: HarperCollins, 1999. ^ Gammel, Baroness Elsa, 264-65. ^ Primitivism and Decadence: A Study of American Experimental Poetry. New York: Arrow Editions, 1937. ^ Interview with Stanley Koehler, Paris Review, Vol. 6, 1962. ^ Benfey, Christopher (2011-12-15). "The Blooming Foreigner". The New Republic. Retrieved 2011-12-07. ^ Williams, William Carlos. "Asphodel, That Greeny Flower." Collected Poems. NY: New Directions, 1962. ^ "Poetry Archive bio on Williams". Poetryarchive.org. Retrieved 2012-10-14. ^ Casella, Donna. "William Carlos Williams's Contact Magazine: A Rebellion against the Arty Art Worshipers", Ball State University Forum 28.3 (1987): 60-75. ^ "National Book Awards – 1950". National Book Foundation. Retrieved 2012-02-25. ^ Santi, Angela Delli (2010-06-01). "N.J. to Bon Jovi: You Give Us a Good Name". CBS News. Retrieved 2012-10-14. Herbert Leibowitz. “Something Urgent I Have to Say to You”: The Life and Works of William Carlos Williams. New York: Farrar, Straus and Giroux; 496 pages. Gammel, Irene. “The Poetic Feud of William Carlos Williams, Ezra Pound, and the Baroness”. Baroness Elsa: Gender, Dada, and Everyday Modernity. Cambridge, MA: MIT Press, 2002. 262-285. Wikimedia Commons has media related to William Carlos Williams. Stanley Koehler (Summer–Fall 1964). "William Carlos Williams, The Art of Poetry No. 6". The Paris Review. William Carlos Williams Papers at Yale University Beinecke Rare Book and Manuscript Library. Archive at the University of Delaware Library Special Collections Department. Archive at SUNY Buffalo Libraries. William Carlos Williams Research Collection, Kislak Center for Special Collections, Rare Books and Manuscripts, University of Pennsylvania.